Bus drivers in Aberdeen could be balloted on industrial action within a matter of weeks after talks with unions broke down last night. Representatives from Unite met with First Aberdeen yesterday over proposed changes to staff terms and conditions. The union claims the changes will lead to fewer working hours, wage cuts and a decrease in holiday entitlement. Last week it balloted 260 of its members on whether or not to take the deal, but just four were in favour. Following the result, both sides sat round the negotiating table yesterday, but the discussions resulted in a stalemate. Unite’s Mike Flinn said: “We had a proposal to put to the company on behalf of the drivers with regards to a paid half-hour break, and would it make a change if they gave that up. “It would equate to a difference of around £1,500 a year. The union is now pushing ahead with a ballot on industrial action, which must be approved by its regional office in Glasgow and general secretary Len McCluskey in London. Mr Flinn added: “We have agreed to keep talking but in my mind there’s nothing that can be done unless they change what they want to do. “At the moment they seem hell-bent on taking everything. Andrew Jarvis, First Aberdeen managing director, said last night: “Discussions continued today with the employee representatives following the recent workplace ballot. 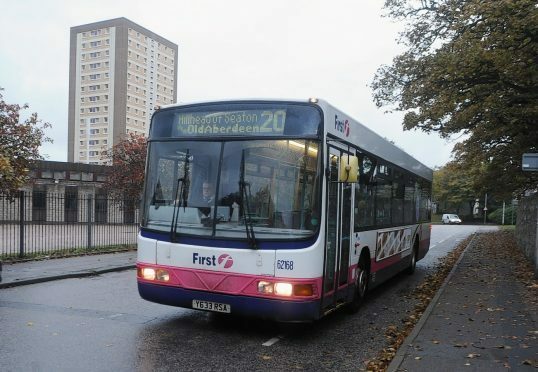 “Regrettably, despite agreeing that the economic changes in the area over the last few years have significantly changed the level of demand for some of the services First Aberdeen operates, we have not been able to reach agreement on a way forward on changes to the terms and conditions for drivers.